Jack Traps 10th Annual Youth Derby – REGISTRATION DEADLINE EXTENDED TO FEB 22ND! CLICK HERE TO DOWNLOAD PERMISSION SLIPS! WE HAVE EXTENDED THE DERBY REGISTRATION DEADLINE TO FEBRUARY 22ND! Our favorite part of the ice fishing season is on its way! 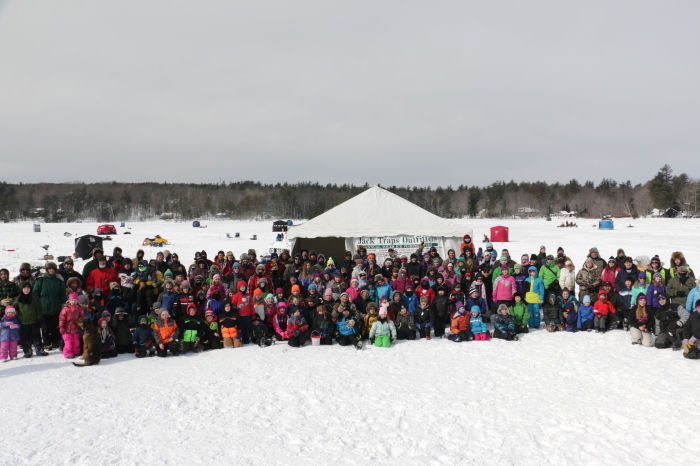 Our annual youth ice fishing derby being held on Saturday, February 23rd for children age 12 and under! Sign up is free and we’ll have free food, bait and an ice fishing prize for all participants. Maine Inland Fisheries and Wildlife will be stocking brook trout just for the event! We recommend you bring gear if you have it, but if not we’ll have some traps for you to use. There will be volunteers available to show the kids the ropes and drilling holes. The day is all about getting the kids on the ice, off the electronics and into the outdoors. We’ll also have a few special prizes that will be drawn at random for some lucky participants, and we’ll be giving away some lifetime fishing licenses as well! All children must pre-register with the permission slip available for download above, and all participants must be accompanied by an adult. We are hoping for great weather and look forward to seeing you all there! Our favorite part of the ice fishing season is on its way! 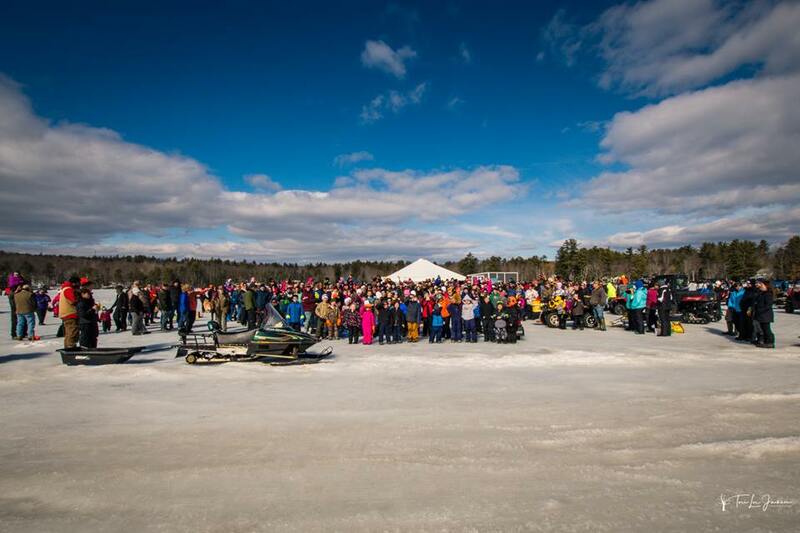 Our annual youth ice fishing derby being held on Saturday, February 23rd for children age 12 and under! Sign up is free and we’ll have free food, bait and an ice fishing prize for all participants. Maine Inland Fisheries and Wildlife will be stocking brook trout just for the event! We recommend you bring gear if you have it, but if not we’ll have some traps for you to use. There will be volunteers available to show the kids the ropes and drilling holes. The day is all about getting the kids on the ice, off the electronics and into the outdoors. We’ll also have a few special prizes that will be drawn at random for some lucky participants, and we’ll be giving away some lifetime fishing licenses as well! All children must pre-register with the permission slip available for download above, and all participants must be accompanied by an adult. We are hoping for great weather and look forward to seeing you all there! Derby Registration Extended to February 22nd! DERBY PRE-REGISTRATION HAS BEEN EXTENDED TO 5 P.M. FEBRUARY 22TH! 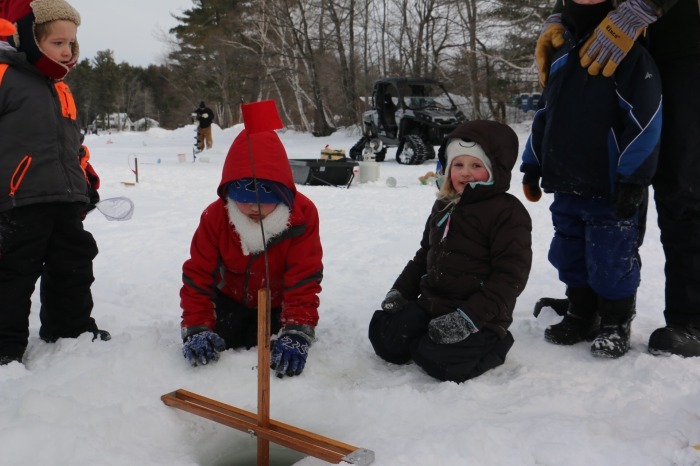 Our annual youth ice fishing derby will be held on Saturday, February 24th for children age 12 and under! Sign up is free and we’ll have free food, bait and an ice fishing prize for all participants. Maine Inland Fisheries and Wildlife will be stocking plenty of brook trout just for the event so there will be plenty of fish to catch! A hand full of lucky participants will be drawn at random to win some awesome prizes, including a Jiffy Propane auger compliments of L.L. Bean, some Jack Traps, Loring Pack Baskets and more! There will also be as many as 10 Maine Lifetime Fishing Licenses given away at random to those that participate! We recommend you bring gear if you have it, but if not we’ll have some traps for you to use. There will be Registered Maine Guides available to show the kids the ropes and plenty of volunteers drilling holes. The day is all about getting the kids on the ice, off the electronics and into the outdoors. All children must pre-register with the permission slip available for download above, and all participants must be accompanied by an adult. We are hoping for great weather and look forward to seeing you all there! Our favorite part of the ice fishing season is on its way! Our annual youth ice fishing derby being held on Saturday, February 24th for children age 12 and under! Sign up is free and we’ll have free food, bait and an ice fishing prize for all participants. Maine Inland Fisheries and Wildlife will be stocking brook trout just for the event! We recommend you bring gear if you have it, but if not we’ll have some traps for you to use. There will be Registered Maine Guides available to show the kids the ropes and plenty of volunteers drilling holes. The day is all about getting the kids on the ice, off the electronics and into the outdoors. We’ll also have a few special prizes that will be drawn at random for some lucky participants, and we’ll be giving away some lifetime fishing licenses as well! All children must pre-register with the permission slip available for download above, and all participants must be accompanied by an adult. We are hoping for great weather and look forward to seeing you all there!